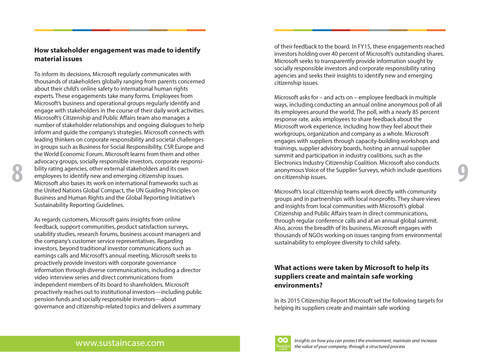 Operating worldwide, developing, licensing and supporting a wide range of software products, services and devices, Microsoft interacts with thousands of suppliers every day. 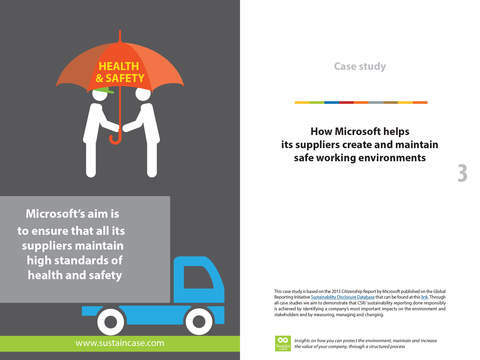 Microsoft’s aim is to ensure that all its suppliers, throughout a supply chain that spans 25 countries around the world, maintain high standards of health and safety. Microsoft’s hardware business has grown since its inception in 1982. Today, Microsoft’s Device and Supply Chain Group manages this supply chain, spanning 25 countries across the globe, striving to help suppliers create and maintain safe working envi­ronments. 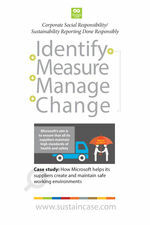 After measuring and setting targets, Microsoft took action to provide training resources for suppliers Tweet This! 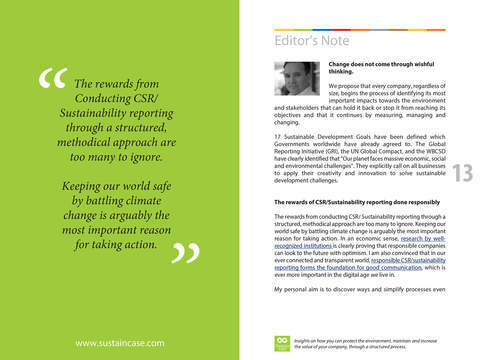 – Microsoft created a training platform that includes labor, ethics, environ­mental, health and safety (EH&S) training course modules for suppliers –, work with factory management to build a culture of health and safety, track key health and safety performance indicators and, also, implement a new supplier improvement program.